Finished and uploaded Ruddle Battle few hours back ! 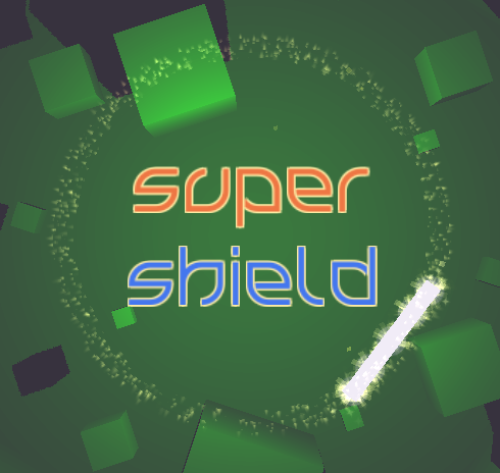 Had loads of fun creating this game, and participating in Ludum Dare for the first time ! Went for the minimal approach for the in-game graphics and decided to use bold colours, and candy style graphics for the UI. Just play the game (and possibly have fun) and let me know how I did and how I can improve. 1) It was designed for digital controllers, so the controls are very very simple. Arrow keys to position the paddle at 4 predetermined positions. 2) The rules are a bit different, instead of using the paddle to avoid the ball to leave the screen, the idea is to use the paddle to avoid the ball hitting the center of the screen. 3) Multi-ball, because, why not? Yes, it’s simple and not very creative, but it works. For the most part. Obligatory I’m in post, so within about 10 minutes I had an idea which was doable and fun. You will all find out about it when I release my first dev video. Alterpong is a one-vs-one pong where only one player at a time can see the game. This is what the player on the left will see. The other player will see the exact opposite. Enter a session with a friend or wait in the lobby for an opponent. It is intended to run on a mobile browser (tested on Chrome for Android and Chrome for iOS), but can be played from desktop too. Will be released on Github soon. The Game is coming along swimmingly. My goal for this compo is to focus on making a really tight, juicy, polished game. I post progress to 4chan’s /agdg/, so if you want the latest updates, check out that thread. PS: If you want the code, it’s open source on Github. What is Pong Between Worlds? 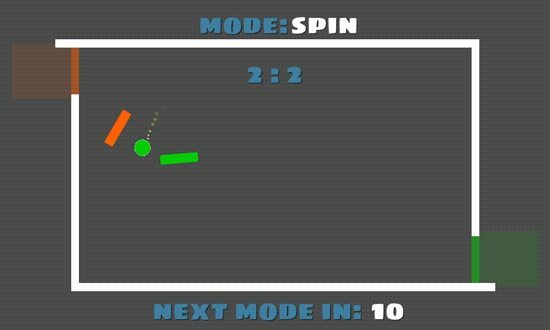 I am making this game in unity, my goal is to make it 100% as fun on mobile as on PC. Progress, and likely going to be done for tonight.